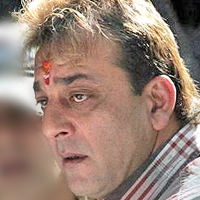 MUMBAI: 28 Nov, 2006 The designated TADA court on Tuesday convicted actor Sanjay Dutt, finding him guilty under the Arms Act. 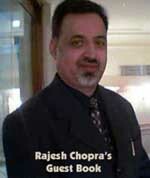 The court, however, did not find him involved in the 1993 Mumbai blasts conspiracy. 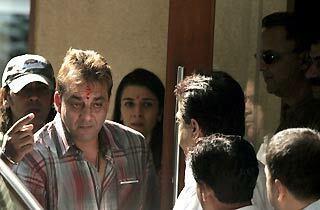 Bollywood actor Sanjay Dutt was on Tuesday convicted by the special TADA court in the 1993 Mumbai serial blasts case. He was found guilty on the charge of weapons possession. Dutt, however, was exonerated of the more serious charge of conspiracy in the worst-ever terror attack on the city in which 257 people were killed and several hundred injured. "Sanjay Dutt is not a terrorist," judge PD Kode said while delivering the verdict. The judgement must have come as relief to Dutt, as the Arms Act under which he has been convicted, allows him to apply for bail. The court found Dutt guilty of illegal possession of arms in a notified area. He was in possession of an AK-56 rifle and a 9mm pistol. Earlier in the morning, the 47-year-old actor arrived at the court in Arthur Road along with some of his Bollywood colleagues and family members amid tight security as media persons jostled to catch a glimpse of him. Emotions ran high as a tense-looking Sanjay hugged his friends after getting out of the car and nodded at waiting camerapersons as he walked into the court premises. Earlier, several personalities from the Hindi film industry including producer-director Vidhu Vinod Chopra, Karan Johar and actor Fardeen Khan visited Sanjay's Bandra residence. He hugged his sister and Congress MP Priya Dutt and brother-in-law Kumar Gaurav before leaving for the court. Sanjay is charged under Section 120-b IPC (conspiracy), Section 3 (3) of TADA (P) act for allegedly receiving three AK-56 rifles, ammunition, 9 mm pistol, cartridges and hand grenades which were part of the consignment smuggled by Tiger Memon to set off a series of blasts in Mumbai on March 12, 1993. The actor is also charged under Section 5 of TADA (P) Act for possessing weapons, Section 6 of the same act (for contravening provisions of other acts) and Section 3 and 7 read with Section 25 of Arms Act. Sanjay was accompanied by sister Namrata, Gaurav and Bollywood colleagues including Bunty Walia. But he entered the court alone. Bollywood actor Sanjay Dutt on Tuesday appeared before the designated TADA court which is likely to deliver its verdict on his alleged role in the 1993 serial bomb blasts case. Wearing a check shirt and denims, the 47-year-old actor arrived along with some of his Bollywood colleagues and family members at the court in Arthur Road Jail amid tight security as media persons jostled to catch a glimpse of him.